*A dance class designed for ALL bodies! 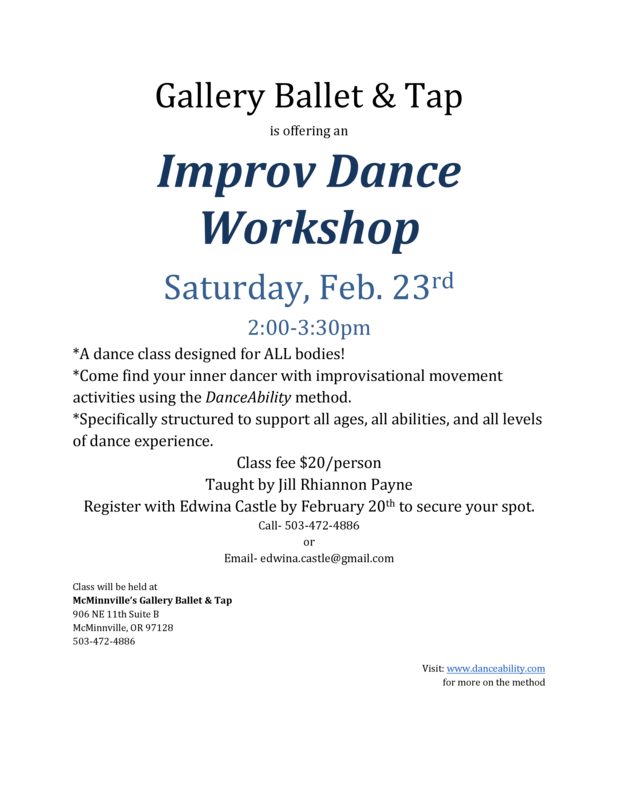 *Come find your inner dancer with improvisational movement activities using the DanceAbility method. *Specifically structured to support all ages, all abilities, and all levels of dance experience.